This thread can be used to post some of the significant news and buzz that missed being breaking news by a few days, weeks or even months. NEW DELHI: Indian ace Saina Nehwal's ascent to the top of women's badminton was officially confirmed on Thursday with the release of the latest rankings by the game's international governing body. In becoming the first Indian woman shuttler to attain the number one spot in world rankings, Saina took over the reins from China's Li Xuerui, who slipped to third with Spain's Carolina Marin claiming the second position. 4 month old news but 40 years late..
Three Ananda Margas and an advocate were today sentenced to life imprisonment for the killing of former Railway Minister L N Mishra nearly 40 years ago with a Delhi Court holding that the terror act was aimed at pressurising the Indira Gandhi government to release the group's jailed chief. District Judge Vinod Goel, who held three Ananda Margas-- Santoshanand, Sudevanand and Gopalji-- and advocate Ranjan Dwivedi guilty of murdering Mishra and two others, also directed the Bihar Government to pay Rs five lakh each to the legal heirs of Mishra and two other victims who had died in a blast at Bihar's Samastipur Railway station on January 2, 1975, just few months before the proclamation of Emergency. I thought so to initially .. but mine was more about news that should have been highlighted as breaking news by mainstream media had they been unbiased. One news we have missed out is on Salman Khan's driver claiming that he was behind the wheels in that famous 2002 incident. Few of my FB friends believe him, but they are not the Judges. Few of my FB friends believe him, but they are not the Judges. few of my echarchan friends believe him , but they are not the judges. No sane person will believe that the driver was behind the wheels and if he was why the confession after so many years ? I even read the news that, ( sallu's Lawyer : ) there was no foot-path. In other words the beggars were sleeping in the mid of the road with an intention of suicide ! Next line of defence should be there is no Salman Khan. Its an innocent imposter set up in place of Salman Khan as in movie Don. Original Salman Khan was an alien captured by Men in Black and sent back to his Gola. And HC jurisdiction doesnt apply in his Gola. The one who died that night was already dead before and was just an imagination..he wasn't real..just like kareena in talaash. .next line of defense is there is no victim because his body doesnt exist any more. Salman's defense lawyer breaks out his hypnosis skills and compels the JANTA to believe its ALL in their minds, There never was a car, a footpath, a road or even salman khan! Its all in your mind folks! Its a very anxious time for those who blv in Indian justice system. Get it right for the sake of the blindfolded lady. Yes, salman 's lawyer should be sent to metal asylum if not to prison. Gawd.. When will this drama end ? ?Although I love Samlan, but crime is a crime hence let's wait for the justice.. I won't be surprised if the next statement the defense makes is that "There was no pedestrian who died". The way the defense is presenting their side, it seems like the Khans have hired Faking News to defend Salman. It's not next, that's also been done. The victim died because of the crane, not the car, as per the lawyer. Uta le re baba uta le... Mujhe nahin iss case ko! 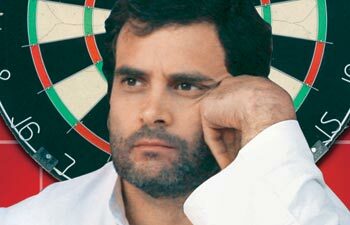 The Congress Vice President Rahul Gandhi is on a roll after he returned from a two month secret hiatus abroad. Quiet literally, he is on a roll. After his return, Rahul Gandhi addressed a big rally of the farmers against the proposed Land Acquisition Bill at Ram Leela maidan in Delhi. He took on the Modi government at the Centre. The Rahul watchers could sense a change in his tone and tenor. He is not the same Rahul Gandhi whom many in the Congress had earlier dismissed as a 'reluctant' politician with no future. 2 mahine ka training le ke aaya.. lekin phir bhi phusss. pencho first visit Amethi and do something for the farmers in your own constituency..
and as somebody said Modi does not take sabbaticals.. he's working round the clock. Track it here, it has malfunctioned ! And you can follow the Progress in it's uncontrolled descent back to Earth here. the Cargo Module Progress is out of control and will burn in the atmosphere. An unmanned Russian cargo spacecraft ferrying supplies to the International Space Station (ISS) is plunging back to Earth and apparently out of control, an official said on Wednesday. "It has started descending. It has nowhere else to go," an official familiar with the situation told AFP on condition of anonymity, speaking ahead of an official Russian space agency statement expected later in the day. "It is clear that absolutely uncontrollable reactions have begun." 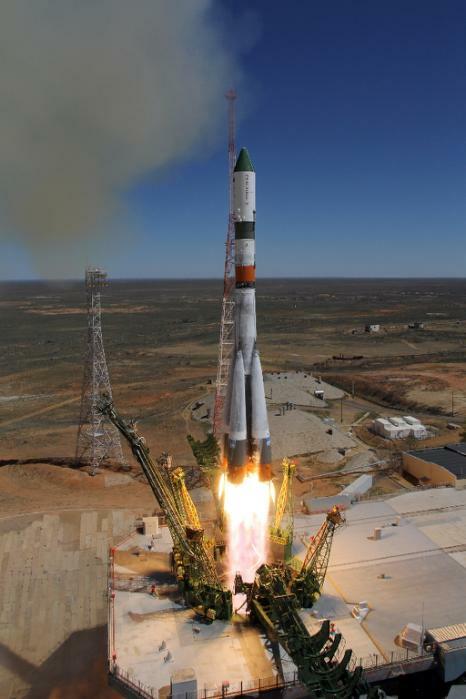 The official said the descent likely marked the end of the Progress spacecraft's mission although the Russian authorities will contact it again to make sure everything has been done to rescue it. "We have scheduled two more communication sessions to soothe our conscience," said the official, adding it was hard to predict when exactly the vessel would fall back to Earth. A Soyuz rocket carrying the Progress M-27M spacecraft with supplies for the ISS successfully launched on Tuesday but communication with the vessel was lost soon afterwards. A spokesman for the Russian space agency, Mikhail Fadeyev, declined immediate comment. Last edited by Jagmohan; April 29th, 2015 at 02:05 PM. yesterday it was crossing, a clear-cut thro' Aussies,.. I guess, the atmosphere is about 90 miles above the earth face,.. so will it enter soon within next 24-36 hours and will start burning, due to the friction, and wil come down, like last timen Columbia. Hope it falls in ocean. Watching it on the realtime tracking site, it appears that the low point of the orbit is at the northern tip, which puts at risk most of the population of the US, Canada and Europe. Not good. Progress 59's current orbit just reached apogee at 14:53:20 UTC, at an altitude of 269.34 km/167.36 miles. This was just past the southernmost point of the orbit, which was at the time roughly a thousand miles/1,600 km SSE of Tasmania. It should reach perigee on this orbit in about 40 minutes or so, when it will be east of Newfoundland. Unfortunately I wasn't watching when it last hit perigee, so I don't know that altitude. When the perigee gets under 100 miles/161 km, things tend to get exciting. Perigee on this orbit was at about 15:39:00 UTC, with Progress down to 189.54 km/117.77 miles. This was over the north Atlantic, about halfway between Newfoundland and Ireland. Spaceweather.com says the Sun is rather quiet right now, so the atmosphere is 'smaller' than average. So, if I had to guess, (and I am ***NOT*** a specialist on this!! ), I would say that Progress has at least 24 hours of life remaining. Latest apogee was 268.47 km/166.82 miles, at 16:22:10 UTC. This is a decrease of 0.87 km/0.54 miles in one orbit. So perhaps 36 hours before Progress reaches 100 miles/161 km at perigee. Latest perigee at 17:08:00 UTC was 189.41 km/117.69 miles, a decrease of only 0.13 km/0.08 miles. Last edited by Jagmohan; April 30th, 2015 at 02:01 PM.